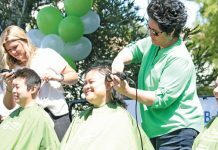 Hennessey’s Seal Beach, St Baldrick’s Pediatric Cancer Research Foundation and the Seal Beach Lions Club have teamed up again this year to raise funds for the search for a cure for children’s cancer. Hennessey’s Tavern in Seal Beach will be hosting the annual head-shaving event on Saturday, April 13, 2019 from 11 am to 3 pm. We want to invite you to attend the event and share it with as many members of family and friends that you can, as it is produced for free! As in years past, we expect to attract plenty of people for a day of positive, giving attitudes, food, drink, and laughter as we support those who “Brave the Shave” to raise awareness in support of children battling cancer. After all, many volunteer physicians, nurses, family members, and stylists are all ready to take it all “off the top” to help children in desperate need. We often even have various superheroes from the Marvel universe joining us! Our event includes activities for kids, music, bounce houses, face-painting, “Be the Match” bone marrow donation information, lots of fun and laughter and most importantly our successful silent auction. This is the crucial fundraising component that we need your help! With your support, this silent auction brings a tremendous amount of awareness and funds to St. Baldrick’s Children’s Cancer Research Foundation. Only once a year, as a fellow merchant and business in Seal Beach, we are asking you to help us via donations to our silent auction. Your contribution will enhance our auction and will give your business a large amount of publicity in the community. Your support of this fundraiser would be much appreciated and is entirely tax deductible as allowable by law. This event is proudly hosted and run primarily by Pediatric Oncology nurses from Miller Children’s Hospital in Long Beach, California as well as friends and family of children being treated in the oncology unit at Millers Children’s Hospital. We at Hennessey’s are proud to have a long history with St. Baldrick’s, and as a company, we are committed to its success. 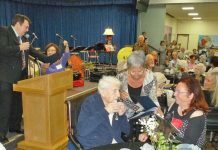 Joined more strongly this year with the Seal Beach Lions club, which is providing “helping hands of service” along with material support, the Lions have grown in support due to Lions Club International’s focus on pediatric cancer. Again, please consider any donation, as we know how often we donate to our other wonderful community organizations and fundraisers, we would hope you could find a way to help kids with cancer through your participation. We thank you for your kind consideration. My wife and I would like to share a recent experience with our residents/readers and nominate a police officer, Sergeant M. Ezroj, for officer of the month! On a Sunday morning, I became ill. My wife drove me to the emergency room resulting in emergency surgery. I was in the ER Room Monday morning with my wife, pending surgery, when my wife received a notification from our neighbor Rod Reiswig we had received a parking ticket on our vehicles. This was the furthest thing from our minds at the time. We are very prudent about following the City’s requirements for parking and street sweeping. Our neighbor Rod contacted the Seal Beach Police Department to share with the officer at the time Sergeant M. Erzoj our situation. My wife sent a photo to our neighbor to show where we were at. Officer Erzoj was very receptive to our situation and through his efforts as well as our wonderful neighbors our situation was resolved. My wife and I have always maintained the utmost respect for our Police Department, their putting their lives on the line to protect us and serve the community in a positive environment. It is so refreshing to have a great working relationship between the residents and our fine police Staff all inclusive! As a result of everything that took place, we would like personally thank our fine Police Department, Sergeant M. Eroj and share special recognition for him as well as our neighbor Rod Reiswig for providing the extra efforts to help out. 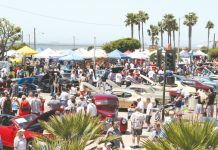 I am writing to thank everyone on the Run Seal Beach 2019 Race Committee for staging a hugely successful and very well-planned event. I was extremely impressed. This was my first ever 5K run, and I’m glad it was here is Seal Beach. I am a 70-year old Vietnam-era Army Veteran. On Dec. 5, 2018, I underwent my third heart surgery. On March 4, I had my three-month follow-up visit with my cardiologists, at the VA in La Jolla, CA. My hope was that they would give me the green light to be able to start running again. I’ve never run competitively, but it’s a great form of exercise, and I thoroughly enjoy it. I had also seen an ad in the Sun Newspaper about the upcoming Run Seal Beach and wondered if I could train well enough in only four weeks to enter, and finish, a 5K race. Well, the doctors all agreed that I would have no restrictions, and I was free to run again. On my way home, I purchased the shoes I had already decided on, and that afternoon I went out on my first run in over 3 months. For the first 9 days, I walked and ran, to get my body accustomed to running again. On March 14, I began strictly running, first 2 miles, then 2.2, 2.4, 2.6, then finally a full 5K, 3.1 miles, on March 19. On March 20 though, my desire to run was gone, flew the coop, hang up my shoes, because I was going nowhere. I thought, “Maybe I’ll get the feeling back if I sit and relax, just read for a bit.” So, with my shoes sitting on the floor in front of me, and no feet in them, I sat down to catch up on some newspapers, periodicals, and Sundays St. Anne’s Catholic Church bulletin. The bulletin was on top, so it was the first thing I picked up, and that’s when I read Msgr. Mike’s message. I’d like to quote the last paragraph of his message of March 17 (it was about ‘Asceticism-which is the practice of religious discipline with an emphasis on self-control and the fostering of virtuous habits). I re-read his entire message twice, then put on my shoes, and went out to run. I ran a full 5K, again, and continued to do so daily, right up until race day. I also re-read that last paragraph every single day, prior to my run. It was quite the motivator. On Saturday, April 6, I completed my first ever official 5K run, here in the city where I live. I also posted my best time, shaving nearly three minutes off my previous training best. If I decide to retire from running now, I’ll do so with a smile on my face, because I did my best, and I’m proud of that. Msgr. Mike’s inspiring words were a true source of encouragement and motivation. The Run Seal Beach 2019 Race Committee provided the perfect setting, and I was the benefactor of both. The opinions expressed in Letters to the Editor are those of the author and not necessarily those of the Sun. The Sun welcomes Letters to the Editor, which must be in good taste, and of wide general interest. 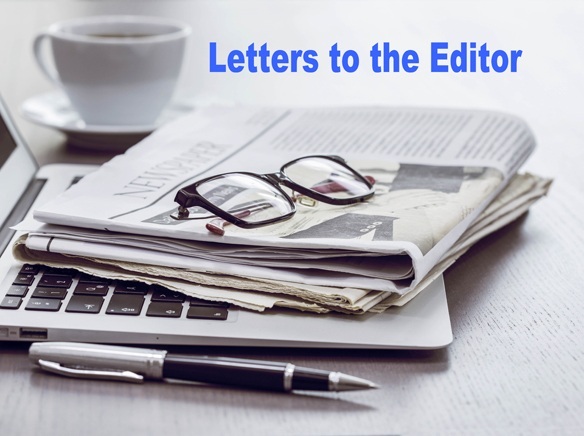 We will not publish letters we deem inflammatory, contain personal attacks, are political campaigning, or other reasons at our sole discretion. The Sun reserves the right to accept, edit or reject letters for any reason. Unless otherwise stated by the author, all letters sent to the Sun are subject to publication. Letters should be 300 words maximum. They should be emailed, mailed or delivered in person and must be signed by the author and contain the authors name, address, and telephone number (the latter two are for verification, and not publication). Email letters to editor@sunnews.org or editor2@sunnews.org.